This year, the longest-running data center event in China will get a makeover. 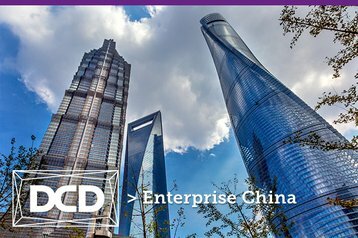 China Data Center Week will gather 1,000 professionals and industry heavyweights across almost all the industry to the Shanghai Tower Conference Center, at the heart of Shanghai. Dedicated to the enterprise-scale IT infrastructure segment, the national gathering draws a serious crowd and sets the industry’s agenda for the year to come, issuing a challenge to the industry on how to handle the unrelenting and exponential growth in data processing demands being driven by cloud, IoT, smart cities and hyperscale computing. For one week each year, the China data center market comes together to explore the state of the industry, to network and make new connections. The four day event will include a major conference and expo, multiple business and networking events (such as partner events and networking parties) and a launch for DCD’s regional awards, along with training courses and data center tours. Data centers are in the middle of disruption. New developments including artificial intelligence, edge, 5G and software-defined data centers are becoming more influential. The disaggregated data center will be the next main force in the digital economy, bringing in another influx of enterprises. As the industry builds a full ecosystem from mud to cloud, you can join with other senior decision-makers at the event to discus how to deal with the strategic and operational challenges arising from new business drivers and technology disruptors, which impact the whole mission critical infrastructure sector. The delegate community at the DCD>Enterprise event is restricted to senior technology and business executives, managers, and engineering professionals directly engaged in the IT, data center, telecom/network, and cloud infrastructure at the end-user level. Qualified end-users can attend DCD>Enterprise as a delegate at no fee. Limited to 1,000 delegates, we urge you to apply for your complementary pass(es) now and put this conference in your calendar. Contact peter.shen@datacenterdynamics.com or kaicheng.liu@datacenterdynamics.com to reserve your complimentary pass(es).